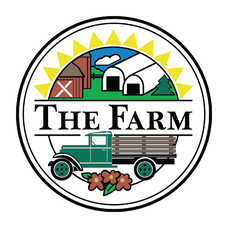 SUMMER & FALL COMBINATION - The Farm & Woodbury Sugar Shed, Inc. IF THE NEED ARISES, WHERE YOU CANNOT PICKUP YOUR BASKET (VACATION, WORK SCHEDULE, SICKNESS), LET US KNOW THAT SOMEONE ELSE WILL BE PICKING UP YOUR SHARE AND THEIR NAME THAT WEEK OF SO CAN SAVE IT FOR YOU, OTHERWISE IT GOES TO THE WOODBURY FOOD BANK 9AM FRIDAY MORNING. ANY BASKETS LEFT FRIDAY 9 AM WILL BE FORFEITED BY SHAREHOLDERS, AND TURNED OVER TO THE WOODBURY FOOD BANK. RECIPES ARE PROVIDED ON A WEEKLY BASIS, VIA EMAIL OR OUR APP. OUR YOUTUBE CHANNEL ALSO HAS MANY HELPFUL TIPS, AND INFORMATION ABOUT HOW THE CROPS ARE GROWN. BE SURE TO OPEN AND READ OUR WEEKLY E-MAIL NEWSLETTER. IN EACH WEEK'S LETTER, THERE CAN BE IMPORTANT INSTRUCTIONS, OR TIPS ON IMPROVING YOUR CSA EXPERIENCE. THE RECIPES FOR THE WEEK WILL ALSO BE INCLUDED IN THESE EMAIL CORRESPONDENCE. NEWSLETTERS ARE THEN ARCHIVED IN A PASSWORD PROTECTED AREA OF OUR CSA WEBSITE PAGE OR APP.